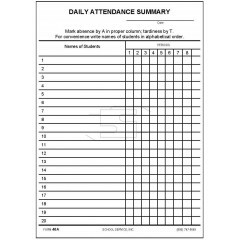 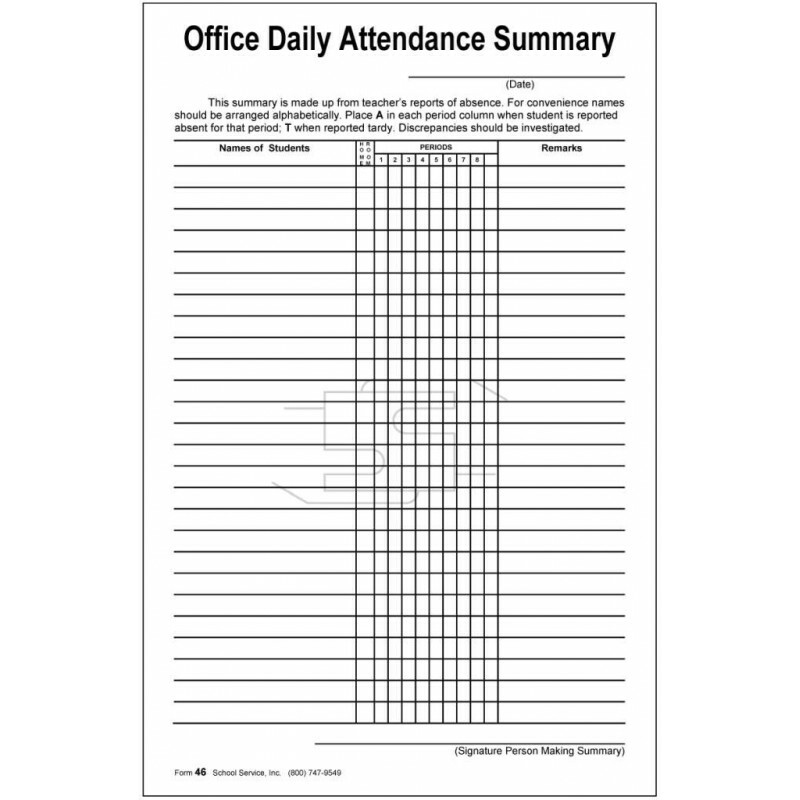 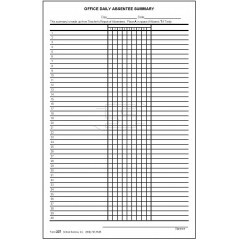 Padded office daily attendance summary. 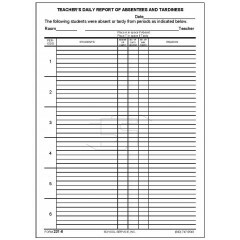 Size: 8-1/2 x 5-1/2 size. 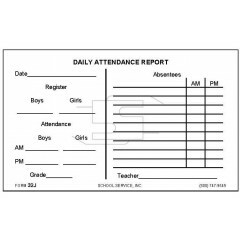 Type: Bond paper padded (note pad paper).